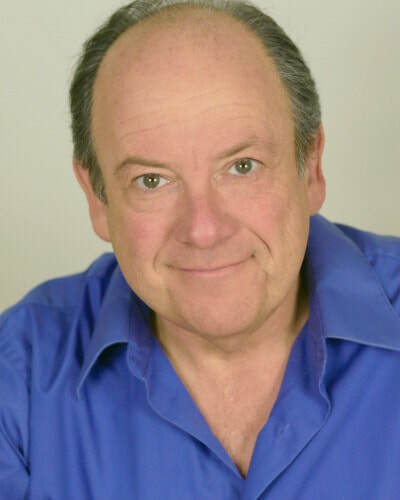 Mike Kimmel is a film, television, stage, and commercial actor and acting coach. He is a twenty-plus year member of SAG-AFTRA with extensive experience in both the New York and Los Angeles markets. He has worked with directors Francis Ford Coppola, Robert Townsend, Craig Shapiro, and Christopher Cain among many others. TV credits include Game of Silence, Zoo, Treme, In Plain Sight, Cold Case, Breakout Kings, Memphis Beat, and Buffy The Vampire Slayer. He was a regular sketch comedy player on The Tonight Show, performing live on stage and in pre-taped segments with Jay Leno for eleven years. Mike has appeared in dozens of theatrical plays on both coasts, including Radio City Music Hall, Equity Library Theater, Stella Adler Theater, Double Image Theater, The Village Gate, and Theater at the Improv. He trained with Michael Shurtleff, William Hickey, Ralph Marrero, Gloria Maddox, Harold Sylvester, Wendy Davis, Amy Hunter, Bob Collier, and Stuart Robinson. He holds a B.A. from Brandeis University and an M.A. from California State University. As an educator, he has taught at Upper Iowa University, University of New Orleans, University of Phoenix, Nunez Community College, Delgado Community College, and in the Los Angeles, Beverly Hills, and Burbank, California public school districts. He is a two-time past president of New Orleans Toastmasters, the public speaking organization, and often serves as an international speech contest judge. Mike has written and collaborated on numerous scripts for stage and screen. In Lincoln’s Footsteps, his full-length historical drama on Presidents Lincoln and Garfield, was a 2013 semi-finalist in the National Playwrights Conference at the Eugene O’Neill Theater Center. He is the 2014 recipient of the Excellence in Teaching Award from Upper Iowa University. Mike is a full voting member of the National Academy of Television Arts and Sciences. 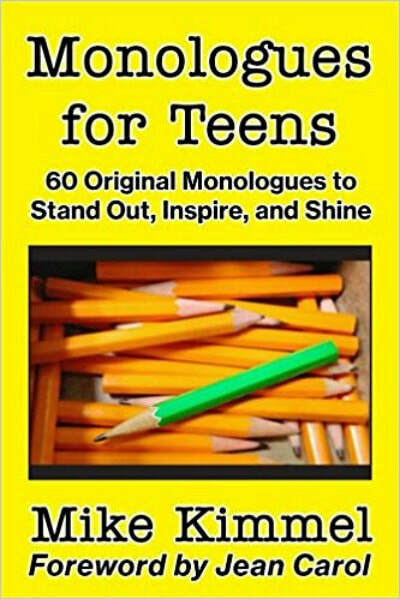 He is the author of Scenes for Teens, Acting Scenes for Kids and Tweens, and Monologues for Teens. Scenes for Teens is meant to help simplify the acting and auditioning process for young performers. Created by an experienced actor with Hollywood and Broadway credits, these fifty original comedy and drama scripts are ideal for training and auditioning. The scenes are written for two actors, are gender-neutral, and intentionally exclude costumes, props, entrances, exits, complicated stage directions, and additional characters. In this way, Scenes for Teens is specifically designed to help young performers practice dialogue in a conversational and realistic manner. This allows student actors to focus completely on the one-on-one relationship. 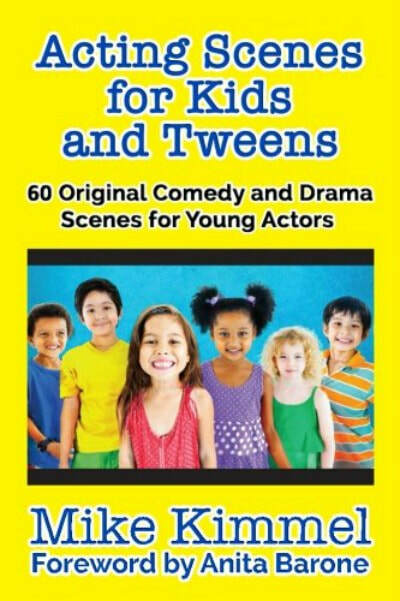 With an inspiring foreword by Kevin Sorbo - and a clear introduction to the art and business of professional acting by the author - Scenes for Teens is an effective teaching tool for young actors, their parents, and acting coaches. 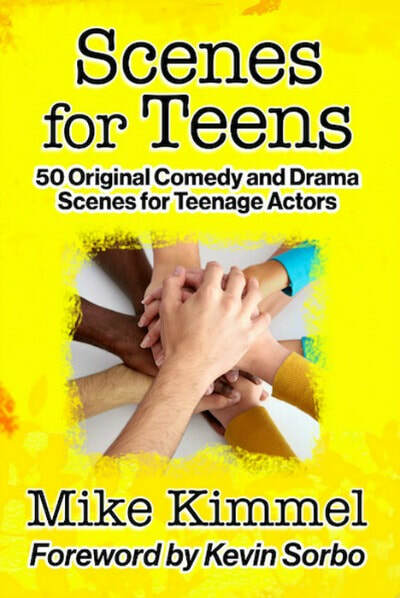 This is the first book in Mike Kimmel's young actor series, and led to the follow-up books Monologues for Teens and Acting Scenes for Kids and Tweens. This is the new book from the author of Scenes for Teens and Acting Scenes for Kids and Tweens.